Sterling yesterday continued its turbulent run pushing as high as 1.1373 but tailed off to finish the day at 1.1325 against the Euro. This morning the pound has dipped further, briefly falling back into the 1.12s but has now settled just above 1.13. This volatility has now seen GBP/EUR range from a high/low of 1.1450 to 1.1175 in the last week, a difference of 2.5%. This change in rates can be significant when moving a large sum of money. To highlight this, the difference between the high/low on a £200k money exchange is over €5,500 – a significant amount of money. For this reason it is very important to have as much information as you can when deciding the best time to arrange your conversion. 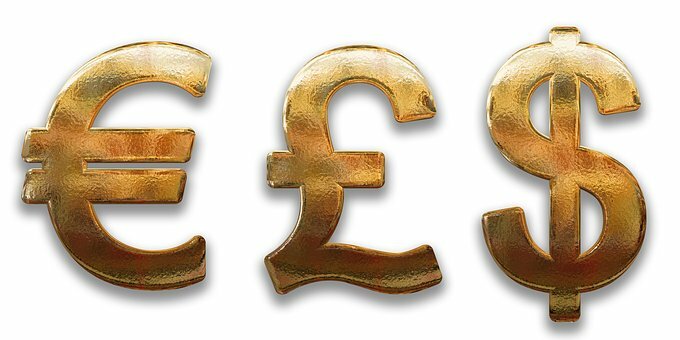 What could impact the pound? Today is a relatively quiet day from the pounds point of view with little or no data that may impact the pound. Should you have an interest in the New Zealand Dollar (NZD) then look out for the RBNZ (Reserve Bank of New Zealand) interest rate meeting and accompanying statement this evening at 20:00. Heading into tomorrow and again there is not a huge amount of date from the UK, although it is worth keeping an eye on the NIESR (National Institute of Economic and Social Research) at 13:00. This is a very well respected think tank and the projections for UK GDP are scrutinised closely. The previous figure was 0.4% and should we see any deviation from this figure then the pound is likely to react accordingly. Finally Friday will see the busiest day of the week datawise. On Friday morning we have UK Industrial and Manufacturing production data at 09:30. Manufacturing figures are forecast to fall from 2.8% to 2.3% and industrial production is expected to rise from 1.6% to 1.8%. Both are important but typically the manufacturing data seems to have more impact on the market. For this reason should figures come out as expected the pound could have a tough start on Friday morning. Should you have an upcoming money transfer to arrange and you would like more information relating to our currency services then please get in touch for a free quote.